This year’s IAI (International Association for Identification) Educational Conference is being held in San Antonio, Texas from July 29th to August 4th, 2018. Our own (Ret.) Sheriff’s Deputy Andy McNeill will be presenting two interactive session on capturing, preserving and presenting evidence obtained during crime scene investigations. His sessions are entitled “Case Study: Use of Forensic Spherical Photography in a medical examiner’s setting” and “Introduction to Forensic Spherical Imaging.” The sessions will take place back-to-back on Wednesday, August 1st from 4:00 to 5:00. Stay tuned for more details! What can you expect from the 2018 International Association for Identification Educational Conference? The 2018 International Association for Identification will bring together over 700 forensic scientists and Law Enforcement professionals. The goal of the conference is to maximize learning through hands-on activities, networking, and various breakout sessions. The exhibitor hall will showcase the industry’s latest technology, products and services. This year’s keynote speaker is former NASA Astronaut Colonel Jerry Ross, who is speaking to his search for the Space Shuttle Columbia’s debris. 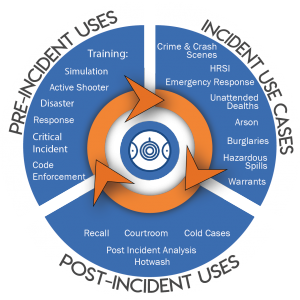 The OSCR360 Solution allows you to gain depth, perspective, and a greater understanding of your case with the ability to provide a virtual crime scene walk through. More than just a camera, OSCR360 is a complete solution that allows you to organize, capture, present and preserve all of your digital evidence files. OSCR360 was built from your voice, with collaboration from Officers, Investigators, and Prosecuting Attorneys. Thousands of hours have been spent collaborating to create features from your feedback. 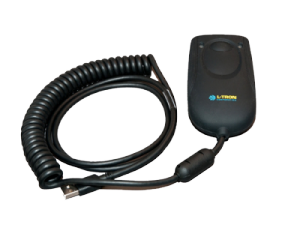 The face of L-Tron – you might recognize us from our 4910LR Driver’s License Scanner. L-Tron’s 4910LR gets Officers off the curb and back on patrol faster. Electronic Ticketing (or eCitation) is an easier and more efficient way to complete citations and reports from your squad car. Scan barcodes on driver’s licenses, registrations and more to capture information into your forms and reports. The 4910LR DL Reader was built from the voice of Law Enforcement. L-Tron has everything to outfit your patrol car for eCitation including mounts, mobile printers, thermal paper & more. Information on evidence detection and enhancements. Certification preparation workshops for latent print and crime scene tests. Crime scene lectures that provide key takeaways and lessons from past cases. Updates to crime scene technology – including spherical imaging and 3D imaging technology. Why do latent print examiners differ in their conclusions? Best practices for forensic photography in a medical examiner’s setting. 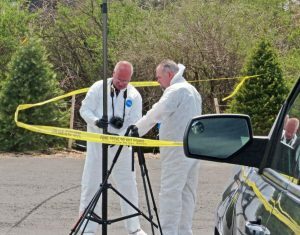 Case Study: Use of Forensic Spherical Photography in a Greece, NY Homicide. Implicit bias – Does it affect crime scene investigators? Introduction to Forensic Spherical Imaging. The Sierra Lamar Homicide – Conviction without a body. Stop by booth #131 at the 2018 International Association for Identification Forensic Educational Conference. Juli & Andy will be available to answer any questions. We love to hear about your investigation experiences, and to learn what equipment you need to make your job a little easier. Say hello and grab some candy or one of our stress heads. See you in July! Julianne Pangal is a proud “Edu-Techie” at the L-Tron Corporation. 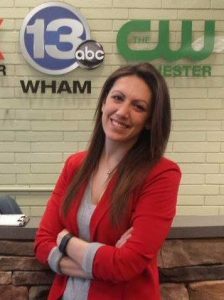 Along with assisting the marketing team and creating content, you might catch Julianne at any of our Law Enforcement conferences. She loves connecting with customers and meeting new people. When she’s not working or traveling for L-Tron, Julianne enjoys riding horses, running, yoga and giving back to the local Rochester community. Andy McNeill is a retired Sheriff’s Deputy with over 20 years in Law Enforcement. Andy is an ACTAR-accredited collision reconstructionist and an IAI-certified senior crime scene analyst. 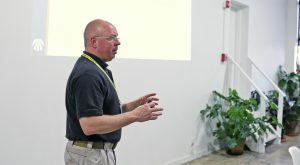 He has worked as a police instructor and runs several forensic photography training courses. He is a new addition to the L-Tron Law Enforcement Support team.